At Seven Summits we pride ourselves on matching prospective horse owners with their perfect match. Our horses are for sale to only their perfect human perfect match. 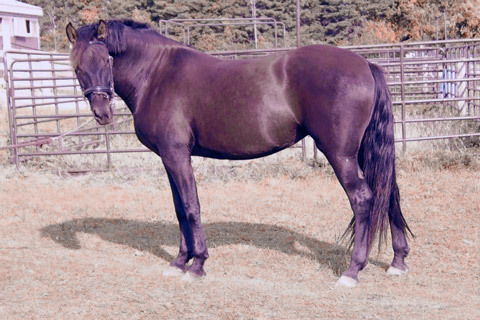 Domina LMC- is a 2013 Andalusian x Friesian Warmblood. By Soberbio XII out of a Biense Mare. Minnie is as sensible as any horse we have ever worked with. She possesses her mothers confident friendly personality with her fathers trainability and intelligence. She is an extravagant mover, with balance and expression. She stands at 15.2hh with more growth expected. Her full sibling stands just over 16hh and was slow to grow. 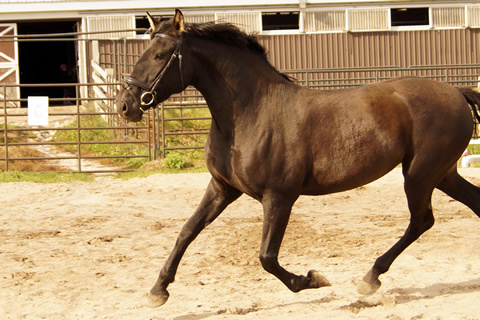 Her groundwork is done and she is backed and lightly started walk and trot. With no buck, rear or bolt or any young horse shenanigans offered. In fact she was off all winter and we deicded one day to just hop on her no lunging and she was not only a complete angel but she remembered everything she had learned in the fall. Pick this sweet mare up before I decide to breed her! $17,000. 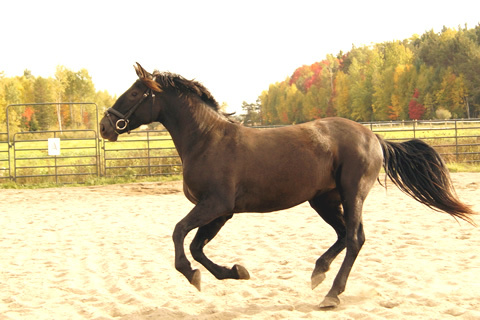 Domina is registered half IALHA and could also be registered Iberian Warmblood.